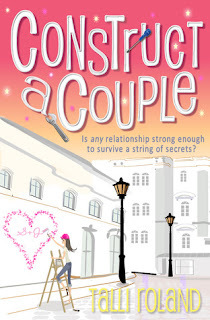 Is any relationship strong enough to survive a string of secrets? With a great job at a reputable magazine and a man who’s the perfect match, Serenity Holland thinks she’s laid the foundation for an ideal London life. When a routine assignment uncovers a shocking secret threatening her boyfriend’s company, Serenity decides to leave nothing to chance, taking matters into her own hands. Soon, though, she realises keeping secrets isn't as easy as she thought . . . and the consequences are far worse than she ever imagined. I hadn’t realized I needed a new series to read until I finished Construct a Couple by Talli Roland. Since this is the second book in the Serenity Holland series, I was already well acquainted with Serenity and her friends and well on my way to falling in love with them! In this series, Roland provides a main character that is completely lovable and relatable. I had so much fun reading about Serenity and her adventures. She reminded me a lot of Becky Bloomwood from Sophie Kinsella’s Confessions of a Shopaholic series – but a little less ridiculous. Serenity gets into just enough trouble that it’s amusing without being over the top. I found myself thinking “What are you doing?! Just talk to him/don’t take the job/wear the jacket!” and so on but it was entertaining, not stressful. Part of what made this book fun for me was that it took place in London but Serenity was actually from the US. It was nice to get a sense of London from an outsider – even though Serenity was quite at home by the second book. I really felt like I was hanging out with her at the markets and taking in the sights right alongside her. I am curious to know if any of Serenity’s faux pas came from Roland’s personal experience as she moved to England from Canada. I am so happy that there is going to be a third book in the Serenity series because I have not had my fill of Serenity and her friends! 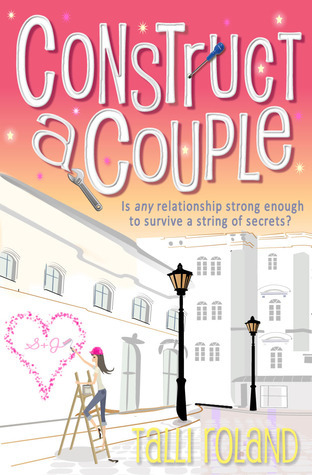 I think any chick lit fan would love Construct a Couple – there’s romance, best friends, and career issues all wrapped up in an entertaining package. I love the way Talli Roland writes and will definitely be on the lookout for her other novels. Thank you to Talli Roland for our review copy! All opinions are our own.